Grady was graduated from North Carolina State University in Raleigh, N.C. with a B.S. in Engineering Operations in December 1979. He began inside sales in Knoxville, TN and was promoted to Regional Manager for Hile Controls of Alabama in Birmingham in June 1981. With six years of outstanding outside sales, he purchased the Alabama operation in 1988. Sales have grown over 400% since 1988 under his direct management. His responsibilities include leading the Company, determination of Principal affiliation, outside Sales Engineering consulting and various ISA Section and Society duties. Grady has supported local ISA Sections throughout Alabama and the Florida Panhandle, as well as, ISA International Society. He was President of the Birmingham Section 2003-04 and has served as the District Three Vice President for the 2008-10 term of office. Grady’s outside activities include scuba diving with his buddy Catherine, power boat driving on Smith Lake, golf, weight training and his two children; Ross and Max. A 1989 graduate of UNCG with a B.S. in Business, Catherine directs the flow of the Company and Inside Sales through newsletters, quotes/orders and lead follow-up. She is responsible for Inside Sales, Hile marketing efforts, our web site (www.hilealabama.com), and accounts payable/receivable. 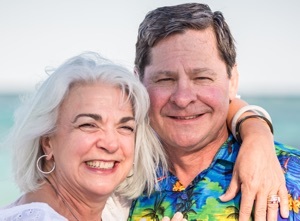 Her sales background was in the grocery industry with T.J. Lipton for 15+ years, working with distributors and developing new markets for Lipton & Lawry products throughout the Southeast, prior to joining Hile Controls in 1997. In addition to Hile Controls’ responsibilities Catherine has served as ISA Birmingham Section President and was awarded ISA’s Emerging Society Leader honor in 2006. She is currently involved with ISA’s Workforce Development Campaign to bring more of our youth into the Science, Math and Engineering fields. Catherine’s outside activities include scuba diving, underwater photography, painting, boat riding & skiing on Smith Lake, weight training and, of course, Ross & Max. Catherine has served as Vice President of ISA’s Image & Membership Department for the term 2012-2013. Richard joined Hile Controls in May of 1999 as an Intern working part-time. His education at University of Alabama at Birmingham was completed in December of 1999 with two Bachelor of Science degrees in Industrial Distribution and Marketing. Upon graduation Richard worked with us full time as an Inside Sales Representative and was promoted to Outside Sales in September of 2001. Richard is our designated delegate to AWEA, the Alabama Water Environmental Association and works closely with water and wastewater customers. His knowledge of the process industry and his territory has grown exponentially during his tenure. After showing exceptional territory and professional growth Richard was voted into the Corporation as Executive Vice-President and will be acquiring an ownership position with the Company. Richard and his wife Lisa enjoy watching their children Abigail, Isabel, Rhett, and Wyatt. They enjoy hiking, camping and Richard is a competitive shooting enthusiast. Suzanne began working with us in September of 2015 and accepted the Office Manager position in January of 2018. She’s made a few other changes too- like her last name! Suzanne married Mark in October 2016 and Hazel loves her new expanded family! She is originally from Georgia where she received her B.A. in Psychology from Georgia State University. She has had varied positions in the administrative/customer service fields over the years and brings those skills and dedication to Customer Service into our Office Manager position. Suzanne handles all things customer and order related while continuing accounts receivable. Outside work, Suzanne enjoys travel, music, reading, working out, painting, college football (ROLL TIDE) and spending time with her very active dog Hazel Louise. Max is a graduate of the University of Alabama at Birmingham with a B.A. in International Relations. 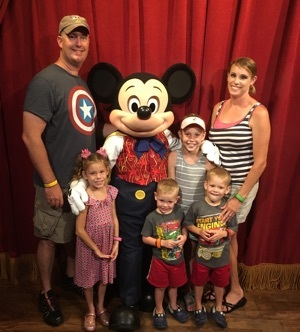 He has worked with Hile Controls on a part time basis since 2008 while attending college. Max’s attention to detail and technical acumen has proven to be a huge asset in his Inside Sales position. Max is enjoying learning about the various processes in our industry, as well as, assisting our customers with their instrumentation needs. Max spends his free time riding his motorcycle, practicing archery and playing drums for local Birmingham band, Eleven Year Old.